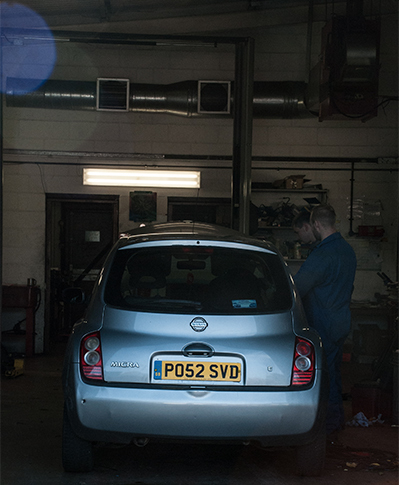 Our workshop has 2 fully qualified auto electricians, that have over 40 years combined experience and are more than happy to offer their expertise at very competitive rates. Our vans are also fully kitted out so we can travel to your home, workplace or site (a call out charge may apply).We can supply and fit reverse camera systems, audio equipment, Ipod docks, hands free phone kits, reverse sensors, central locking kits, alarms, solar panels, CCTV systems, trackers and a host of 12 & 24 volt equipment. We are happy to deal with the public or the trade and can work on both 12 + 24v systems. No auto electrical problem to big or small and we can work on car, commercial, plant, bus and marine vehicles. Workshop Rate (All electrical repairs, bench work etc.) From £40 per hour. Call Out Charge (+50p per mile after 20 mile radius) £25. Car Diagnostic Plug In (code and fault reading) £35. As well as keeping a large range of units in stock, which we can supply and fit, we also can offer a unit repair service and keep a large range of spare parts in stock (solenoids, drives, contacts etc) this may be a cheaper alternative and we would be only too happy to assist you with this. We have the brand new up to date GUTMANN car diagnostic testing, fault finding and code reading equipment, this unit is fully portable so we can come to you, diagnose the fault, rep Diagnostics air, clear fault code or replace faulty parts. FREE of charge In most cases, we can also offer a full charging test to all types of vehicle. Top brand batteries at the lowest prices available. Any job looked at, big or small, from fitting a bulb to rewiring a HGV!! If your vehicle has an electrical issue that needs identifying and the problem resolving, bring your vehicle in and let’s take a look! We are Witter tow bar agents and supply and fit tow bars to all types of vehicle for both the trade and retail customers at very competitive rates. We also make up looms and panels for the manufacturer market place, all looms and panels are custom built to fit individual specs. Here at King’s Lynn Auto Electrical we carry an extensive range of Reversing Systems, Alarm Systems and Sensors. All in stock and ready to fit!